Yamaha YZF R3 recalled in India: Here is the reason why! 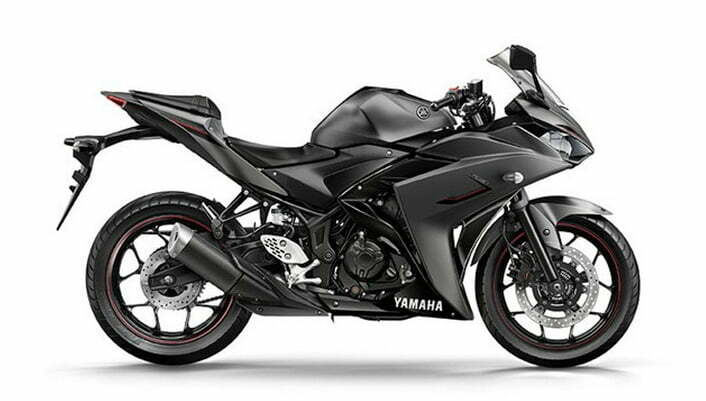 Yamaha has issued a recall notice for 1874 units of Yamaha YZF R3, manufactured for a special period. The affected motorcycles will be repaired free of cost. Yamaha YZF R3 has been recalled in India for voluntary checks and repairs. A defect related to the Radiator Hose and Spring Torsion of the bike has led to the recalling the motorcycle. The exact issue is related leaking of coolant from the radiator and widening of torsion spring. Total 1874 units manufactured between July 2015 to May 2018, sold in domestic and export market have been recalled. As such, no R3 owners have reported this problem in their motorcycles. To solve this issue, Yamaha has initiated a factory modification campaign. Yamaha dealerships will contact the owners individually to get their bikes for the checking campaign. After checking and detection, if found, Yamaha will replace the old parts with the new modified ones. Yamaha YZF R3 is one of the entry-level fully faired sportsbike. It is the next variant to Yamaha R15, which is the most affordable sportsbike in India. R3 comes with a liquid-cooled DOHC twin-cylinder 321cc engine. The engine produces 41 BHP of max. power and 29.6 Nm of peak torque. It pairs up with a 6-speed manual gearbox with a wet multiple-disc clutch. For suspension purposes, Yamaha YZF R3 uses telescopic forks up front and a swingarm suspension with mono-shock absorbers at the back. For braking, it uses a 298mm disc at the front and a 220mm disc at the back. Dual-channel ABS comes as standard fitment. The sportsbike weighs 173 Kgs, which is 36 kgs more than R15. It comes with a fuel capacity of 14 Litres. With an estimated mileage figure of 35 kmpl, it delivers a riding range of around 500 kms on a full tank. Features onboard include a fully digital instrument panel, Metzeler Radial Tires, dual-channel ABS, Split seats, low-placed clip-on handlebars and the racebike feeling that you everytime get after sitting on it. The instrument cluster comes loaded with Gear position indicator, Fuel gauge, Water temperature gauge, Real-time fuel economy and average fuel economy indicators, Clock, 2 Tripmeters and Oil change indicator. Yamaha YZF R3 is priced at Rs 3.49 Lakhs (ex-showroom price). At this price, it competes with the likes of Kawasaki Ninja 300, BMW G310 R. KTM Duke 390 and TVS Apache RR 310.